Today, we are having a mini-ed camp at our middle school. In my sharing session, we are learning about QR codes, where examples are posted all around the room. As a follow-up, I have made a QR code which links to this post, and hope that my colleagues will scan, visit, and leave a comment. So, if you attend today, please be sure to leave a comment and share your QR code enthusiasm! UPDATE – what a great day of sharing, as teachers from all over our building shared their success stories, strategies, and points of pride. For my session, photos were uploaded to photobucket, then turned into QR code links using qrsuff. 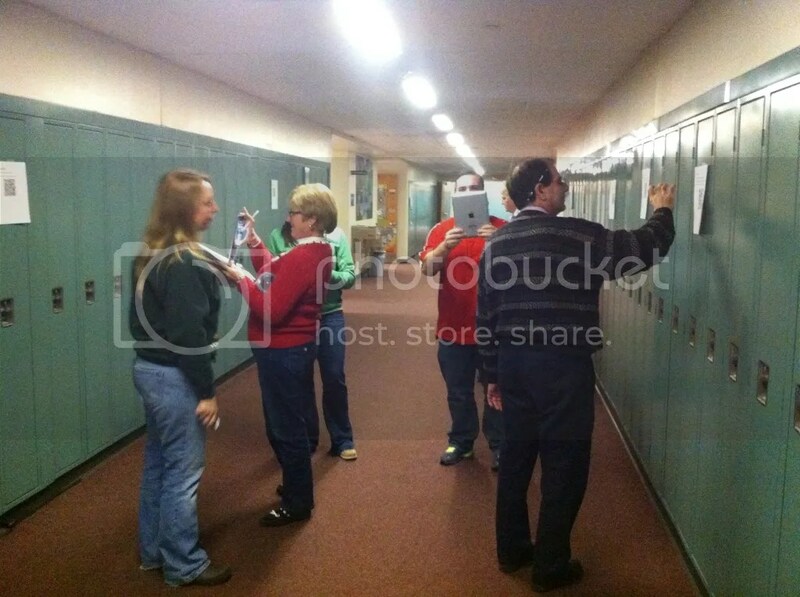 Many attendees installed code readers onto their iPhones, and helped each other work through problems posted on lockers. In one sample from Social Studies, the printed sheet said “Where was this photo taken, and who is the speaker?”. 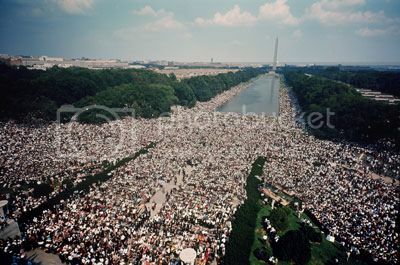 Scanning the QR code then produced a photo of the Washington Mall during Dr. King’s “I Have a Dream” speech. Thanks to Joe and Sarah for the outstanding leadership in planning this exciting event! 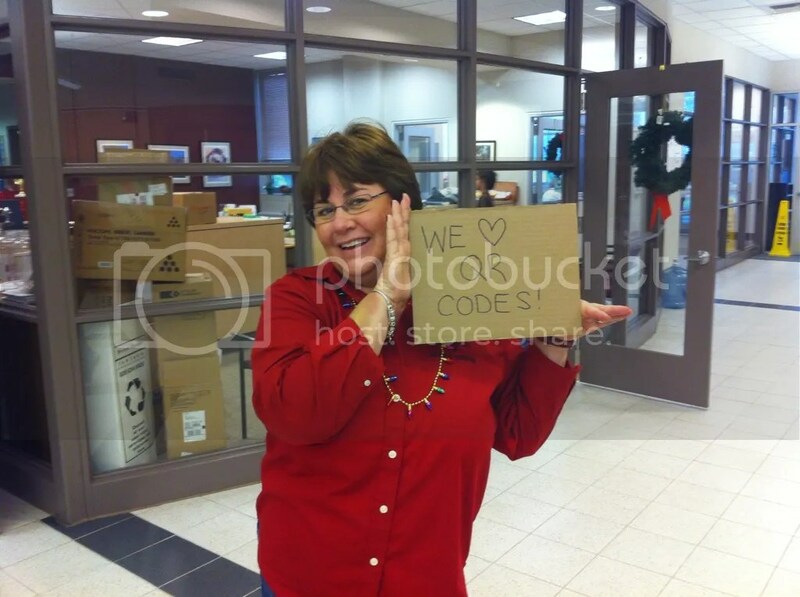 This entry was posted in Technology and tagged QR codes. Bookmark the permalink. This session was wonderful! Im so excited to start implementing QR code activities! Thanks, Bob. This was a cool activity. I can finally use the qr reader I downloaded. Thanks Bob….you did a great job teaching Rick!